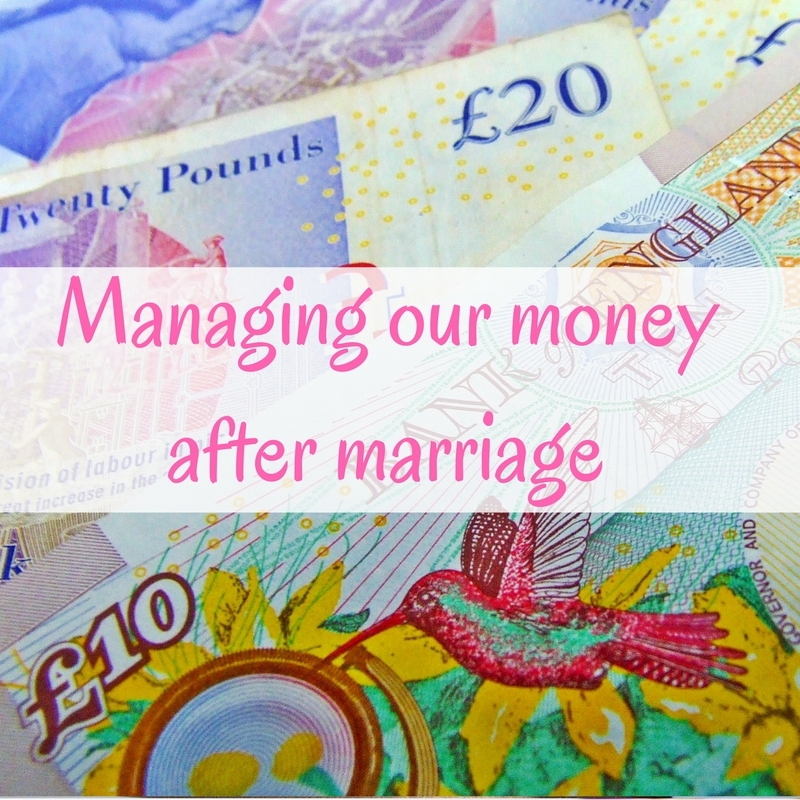 Getting married has brought a whole host of changes to our lives, including how we manage our money. Last year I told you how we manage our money, and whilst there are a few tweaks, the fundamental bits stay the same. Money is a topic that many couple's struggle with. 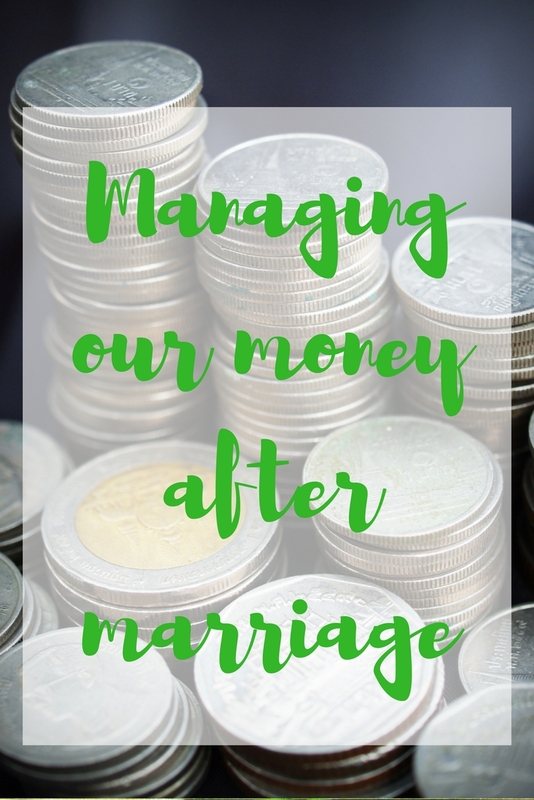 I remember a married, pregnant friend being upset because she needed to ask her husband for money for something, and I remember finding this really odd in comparison to how we deal with our finances. Many couples might end up in couple's counselling because of money matters. 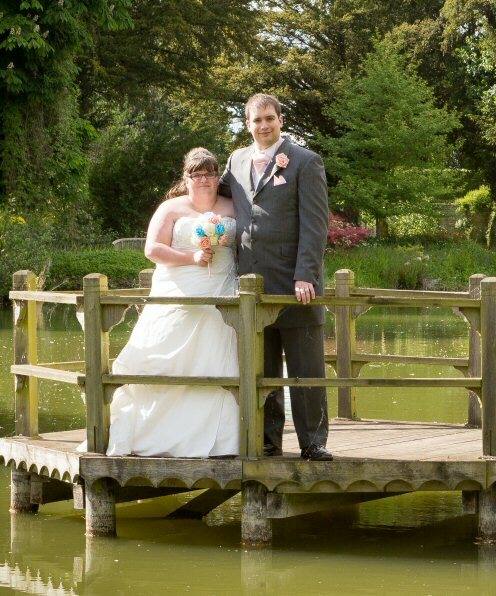 The first thing that we had to do was to decide, now that we are married, what counted as a joint purchase and what we would need to pay for individually. Some things were very obviously joint – such as rent, bills and food. Other things, like our mobile phones, were harder to judge. We drew up a list of everything we pay for regularly and decided what would come out of the joint account and what would be our personal responsibilities. Once we had decided what counted as a joint spend, we were able to complete a monthly budget. Tony get's paid every 4 weeks and I get paid monthly, which made things a little bit more difficult – to combat this we made sure to round some of our bills up. We also made sure to include the monthly value of annual costs – for example, car insurance, dentist visits (twice a year) and other costs. We used the money saving expert budget planner to complete our budget. We then arranged for both of our salaries to be paid directly into our joint bank account. Previous we were paid into our own personal accounts and transferred money over monthly to cover joint spending. Following on from creating the budget, we were easily able to see how much money we should have left over every month. From this we were able to decide on a set amount that each of us move to our personal bank accounts to spend however we see fit. We chose to have the joint account cover almost everything – bills, fuel, food, Cineworld Unlimited membership, various savings and more, leaving our personal money for anything we wanted to buy, including birthday presents for non-mutual friends, our own personal savings and more. I know that a lot of couples struggle with this one, so I thought it might be nice to share what we are planning on doing in regards to paying for Christmas and birthday presents for each other. We are going to be paying for these out of our joint Christmas & birthdays savings account. I think this might be unusual and other couples might expect to pay for these out of their personal spending money, but we decided that this was the way we want to do it. We have set a spending limit that we are both comfortable with. I am extremely proud of our savings accounts – we have 10 savings accounts – that's right, ten! Buffer – this is where extra money left over at the end of the month goes, to cover things that we know we will need to pay out later – vets bills, dentist visits, annual costs such as car insurance, etc. 10 savings accounts is a lot, but we have actually decreased these from the 12 we had previously, by combining annual costs such as car related costs with other things and calling it a “buffer”. We have goals for every savings account, apart from our personal savings accounts. On the last day of every month I split the money I have earned online and any spare money left in our joint account between these savings accounts – and not always evenly. The closer we get to reaching a milestone, the more money I tend to put in there. For example, this month we will reach 100% of our emergency savings goal, so until any money gets spent, we won't need to put any more money into those savings. So far, so good. We have been doing this for two months now and so far it really seems to work for us. Replacing a few accounts with one buffer account means that I'm not having to split money between certain areas and I know that future dentist visits and other costs are covered. How do you manage your joint finances? My husband gives me the money and I spend it – I’m lucky like that 🙂 All the money I make goes solely on having fun/buying things we want but don’t need (holidays, new car etc). Wow, that’s some serious organisation there. I take my hat off to you. We have separate accounts and split the routine bills between us. It’s simple, but works for us. Great post. You’ve given me ideas for extra savings accounts too! Wow that is a lot of work haha We just have a joint account that everything gets paid into and everything comes out of; if either of us want anything then we just buy it. I have my own account but I solely use that for my Younique money as a customer might want something on my bulk order but pay me weeks before I order; just keeps it safely out of the way.